The two standout matches saw two completely events as one turned out to be one-sided with another going the distance. 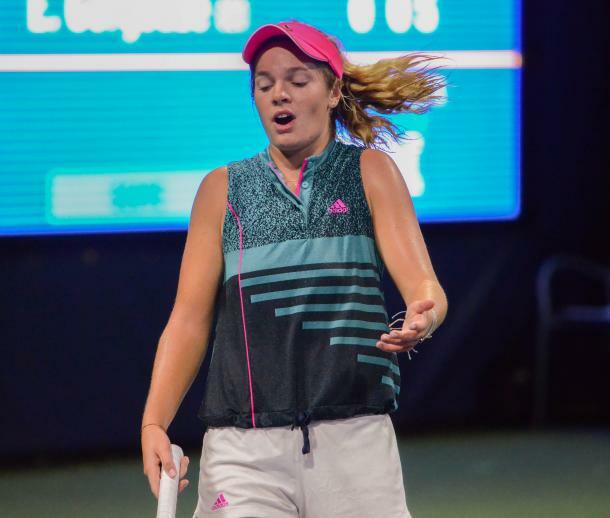 US Open qualifying kicked off Tuesday and when the draw came out Monday, there were two standout matches and none of them had an American involved. The schedule was capped off with an all-Canadian night match between Eugenie Bouchard and Carol Zhao. The other notable matchup was an all-Australian showdown between Thanasi Kokkinakis and Bernard Tomic. Australian Open junior champion Sebastian Korda was given a qualifying wildcard and faced off against former USTA Under-18 National Champion in Dennis Novikov. The young American was down a set and a break in his first round match but came through to win in three.French Open junior runner-up Caty McNally didn't have the same luck as Korda. McNally was convincing in her opening set against Georgia's Ekaterine Gorgodze but lost in three. The most notable American victor was Donald Young, who won against Mats Moraing in front of a packed Court 12. Other notable Americans to pickup victories were Bjorn Fratangelo, Francesca Di Lorenzo, Evan King, Gail Brodsky, Jessica Pegula, Varvara Lepchenko, Christian Harrison, Kristie Ahn, Jamie Loeb and JC Aragone. In the all-Canadian matchup, Eugenie Bouchard only dropped one game against countrywoman Carol Zhao. Bouchard was in control from the get-go, playing right on the baseline and taking the ball early, leaving Zhao playing an error-filled, defensive match. Zhao, a former NCAA player for Stanford, was not happy with some of the calls made in the match, including a non-let call that left her unhappy and even saying, "It was pretty loud and obvious. You don't need a machine to make that call." Two former promising Australian players have had their rough patches, but for different reasons. A number of injuries have kept Thanasi Kokkinakis from finding his best form while Bernard Tomic's poor attitude and poor results have seen hum tumble down the ranks. In this match, you saw the promise of both players but then the tumble of Tomic. Tomic took the opening set of the match before quickly falling behind in the second and just handing the set to Kokkinakis. More of that was displayed in the third as the 25-year-old just looked disinterested. 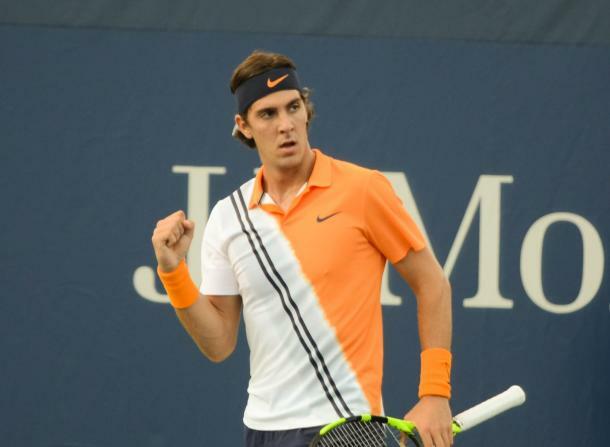 Kokkinakis claimed the victory to move on.